Not quite as much as Chevrolet would like you to believe, although the styling is freshened styling, there’s more standard and optional equipment, and a few added interior enhancements. Unaltered are the basic engineering, four- and six-cylinder-engine choices, and overall dimensions. Chevy says this five-seat crossover belongs in the compact class, where rivals include the likes of the Honda CR-V, Ford Escape, and Toyota RAV4. Passenger and cargo volume are typical of a compact crossover, but exterior dimensions and availability of the V-6 are more consistent with the midsize class and the likes of five-seaters like the Ford Edge and Nissan Murano. Figure between $26,000 and $35,000, and don’t figure on much of a break in the first couple months following the fall-2015 release. Trim levels again ascend through L, LS, LT, and LTZ, each with the choice of front- or all-wheel drive (AWD). Pricing for the ‘16 will be released closer to the on-sale date but expect a modest increase over the 2015’s base-price range of $25,395-$34,545 (which includes Chevy’s $875 destination fee). 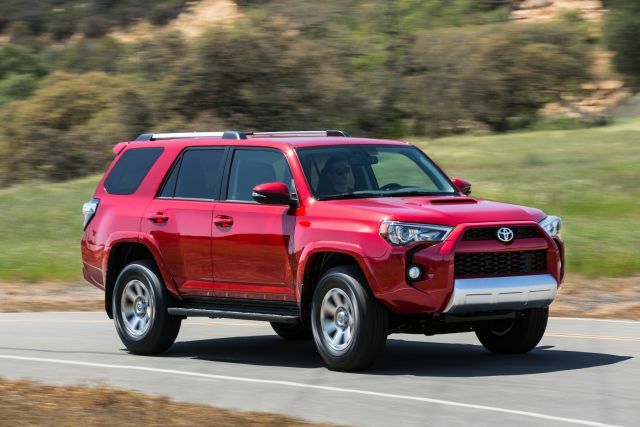 Modest initial supply probably will keep transaction prices close to sticker prices but history strongly suggests ’16 models will eventually be available with generous factory lease, cash back, and/or financing offers. Pricing service TrueCar.com reports transaction prices on the 2015 Equinox are trending almost $2,500 below manufacturer’s suggested retail. They could well go even lower as dealers work to clear remaining 2015’s to make way for the refreshed 2016 model. These are the biggest changes since the current-generation bowed for 2010. But even bigger changes are on tap when the next fully redesigned version debuts in spring 2017 as a 2018 model. Expect the next-generation Equinox to be smaller and lighter. The new base engine will likely be either the 2.5-liter four-cylinder currently available in the Chevy Impala or the 1.5-liter turbocharged four debuting in the redesigned 2016 Chevrolet Malibu. Fuel-economy considerations likely mean the demise of a V-6 in favor of a 2.0-liter turbocharged four-cylinder. A gas/electric hybrid version could join the roster for the first time. A complete list of standard and optional equipment was not available in time for this review. But updated trim designations mean LS and LT replace the 2015’s 1LT and 2LT. The 1LT and 2LT represented the best values in the lineup and we expect the 2016 LS and LT to follow suit. Tipping the scale in favor of the LT is availability of blind-spot and rear-cross-traffic-alert systems. All 2016 models will come standard with Bluetooth connectivity, a touchscreen audio system, and rearview camera. Heated front seats, remote engine start, power sunroof, and a power driver seat should return as either standard or optional, depending on trim level selection. A 2.4-liter four-cylinder with 182 horsepower and 172 pound-feet of torque will reprise its role as the standard engine in the 2016 Equinox and likely account for 90 percent of sales. The other 10 percent will come equipped with one of the most powerful V-6 engines of any mainstream crossover: a 3.6-liter unit with 301 horsepower and 272 pound-feet of torque. Both engines will pair with a 6-speed automatic transmission. The four-cylinder provides adequate, if uninspired, acceleration. The V-6 is a hooligan, but it comes at a fairly stiff cost in terms of adding to the MSRP ($1,500 on 2015 models) and fuel economy, which you can read about next. The EPA has not yet rated the ‘16 but since the vehicle isn’t significantly different than the 2015 version expect similar ratings. That means four-cylinder models at around 26 mpg city/highway combined with front-wheel drive and 23 mpg with AWD. V-6 versions should again rate about 20 and 19 mpg with front- and all-wheel drive, respectively. 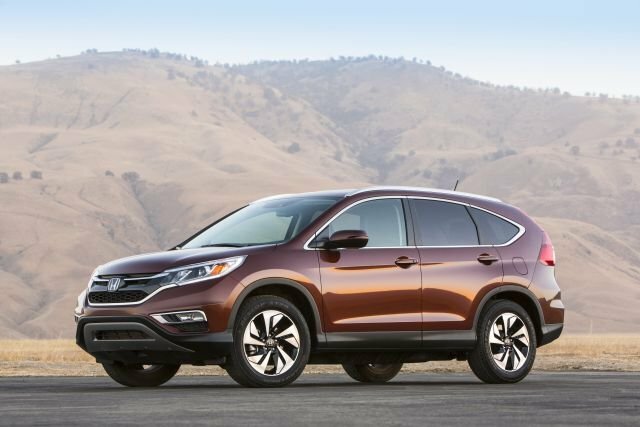 That puts the four-cylinder near similarly powered compact crossovers such as the Nissan Rogue (28 mpg combined) and Toyota RAV4 (25-26 mpg). The Equinox V-6 is in the same ballpark as the midsize-class Ford Edge (20-21 mpg combined) but trails the redesigned-for-2015 Nissan Murano (24 mpg). Don’t expect huge differences from the ’15 Equinox, so competently is the answer. Steering feel tends to be a tad numb and there is some body lean while cornering. A large turning radius hampers close-quarters maneuvering, exacerbating the somewhat ponderous nature of this Chevy-dubbed compact crossover. These issues are not deal-breakers, but most of the rivals feel more nimble, even in everyday driving. Sitting in show models reveals the only major drawback is a central dashboard control stack angled to make some parts of the infotainment touchscreen inaccessible unless you stretch or have really long arms. Chevrolet’s “Color Touch” radio with 7-inch touchscreen and Bluetooth connectivity will be standard on all 2016 Equinox models. Though not officially announced, we expect the brand’s MyLink infotainment system to be standard on all but the L. The overall look and feel of the control layout isn’t much different for ‘16. Based on our test drives of previous models, this crossover does a good overall job of blending touchscreen and button operation. MyLink’s feature set isn’t quite as robust as other infotainment setups, but a clean layout and intuitive operation make Chevy’s offering one of the better systems available. Chevrolet boasts that the 2016 Equinox will have better quality seat fabric for improved comfort. We’ll believe it when we try it. The outgoing version is sufficiently accommodating. The back seat is capable of sliding fore and aft up to 8 inches to benefit passengers or cargo. The cabin is pretty well isolated from road and wind noise. The four-cylinder engine strains a bit loudly during full-throttle acceleration while the optional V-6 puts out a throaty growl as it rockets you forward. The crossover is not the most space-efficient vehicle when it comes to cargo capacity. Intrusive rear wheel wells make the cargo area significantly more narrow than in rival compact and midsize crossover SUVs. For example, you can mount three full-size child safety seats on the rear seat, but a traditional stroller will not fit in the cargo bay. Depending on your passenger- and gear-hauling needs, definitely try Equinox before you buy. No safety ratings available for the ’16 yet, but since there are no structural changes they shouldn’t be much different than the ’15 model’s. Chevy might be aiming to earn the full five stars for overall occupant protection from the government, though. 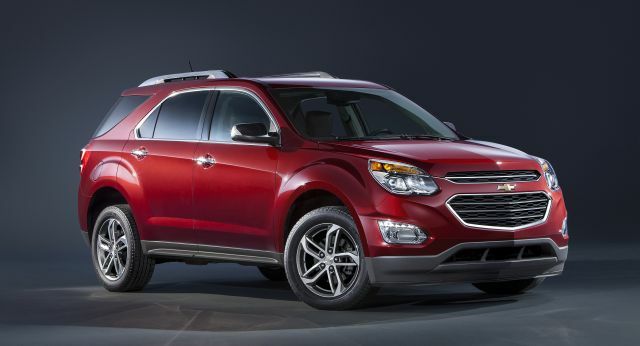 The ’15 Equinox scored four stars overall in the 5-Star Safety Rating program. It did better in crash testing by the insurance-industry-sponsored Insurance Institute for Highway Safety, earning the influential group’s highest “Good” rating in key tests. All ‘16 models come with the standard array of active and passive safety features, including antiskid control, head-protecting curtain-side airbags, and torso-protecting front-side airbags. Blind-spot alert and rear cross-traffic alert are newly available as options on the LT and LTZ trim levels. Since the design isn’t dramatically different than the outgoing model, the ’16’s reliability and resale data should be a good indicator of its potential. The consumer researchers at J.D. Power give the 2010-2014 Equinox average marks for reliability. Overall quality was average for the first couple years of its life, but those scores improved to among the best in class for 2014. Chevrolet as a brand rates average to slightly above for dealership sales and service satisfaction. Another research company, Intellichoice, tracks overall cost of ownership, including depreciation, insurance, fuel, and maintenance. It says the 2015 Equinox will cost less to own over a five-year period than its class rivals, which earns it an “Above Average” grade. As for resale, residual-tracking firm ALG says a ’15 Equinox will retain 33-37 percent of its value after five years, depending on trim level. This is an area where it trails its rivals. 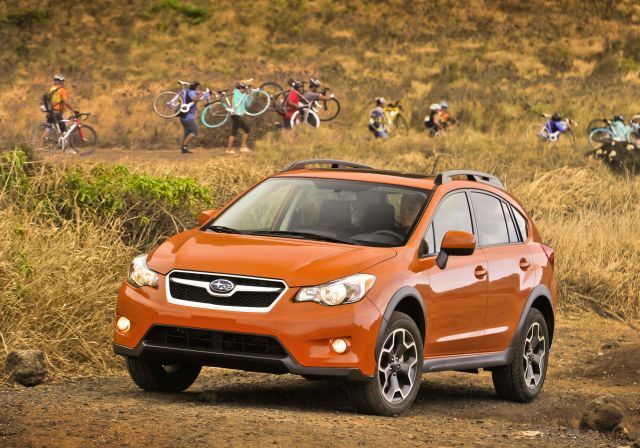 Most compact and midsize crossovers rate in the 37-40 percent range. Some, such as the Toyota RAV4, are projected to retain up to 44 percent of their values. The current-generation Equinox took Chevrolet from also-ran to must-see in this highly competitive segment. With the ’16 freshening so modest, General Motors is resting a bit too much on its laurels. Several more modern competitors trump the Chevy in one or more facets of passenger and cargo room, fuel economy, ride/handling balance, and overall refinement. These include the CR-V, Jeep Cherokee, Subaru Forester, and Mazda CX-5 among compact crossovers, and the Hyundai Santa Fe Sport, Nissan Murano, and Subaru Outback among midsize crossovers. Chevy sold nearly a quarter-million Equinoxes in calendar 2014. We’re not sure the 2016 changes can sustain that momentum. Check it out, but buy only if you crave that V-6 power in a relatively small vehicle or can get a big discount.